The Pixinamanna forest is the result of intense human action suffered from the second half of 1839, in particular the abolition of ademprivi. Assigned first to the Royal Society of Sardinian Railways and then to private, it was used to obtain firewood, charcoal and other forest products. In 1905 the fund returned to the state. Coming from Cagliari, take the SS. 195 to the junction of Is Molas; continuing to the right towards you exceed the Is Molas Sardinia Research Center and reach the barracks Pixinamanna. 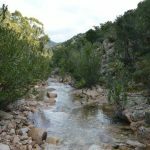 The State Forest of Pixinamanna is situated in the south west of the island, the mountain range that encloses the east the Gulf of Cagliari, from which is about 40 Km. E ‘adjacent to the State Forests Cannoneris, Pantaleo and Monte Nieddu Mannu Gutturu. In much of the State Forest Oasis is permanent protection and catching and is included in the proposed Regional Natural Park of Sulcis. 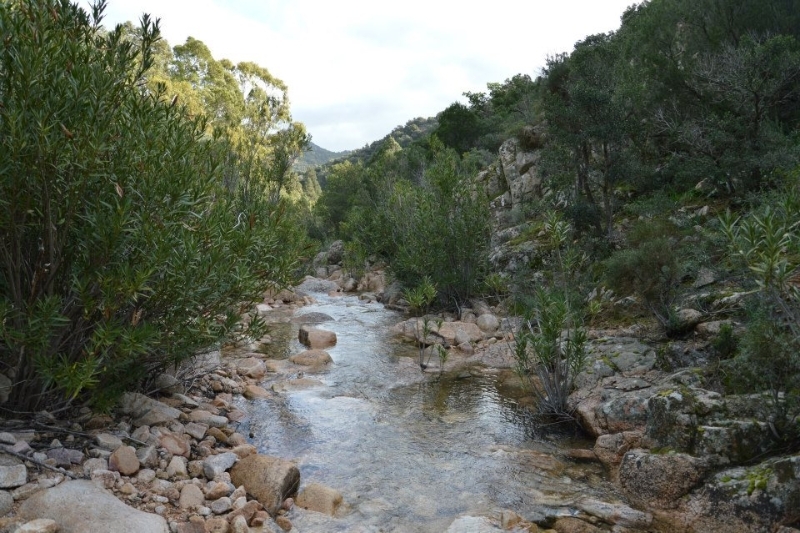 The site is characterized by a typically Mediterranean forest vegetation, with the presence of numerous endemic species. 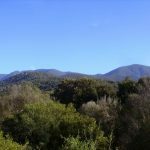 It is holm oak and cork, in addition to vegetation types in olive, juniper, oleander along the main rivers. It ‘also a low stain predominance of cysts, euphorbia and mastic trees, with the presence of gariga in Corsica broom and lavender. The area is home to many animal species. Among the avifauna are the Sardinian goshawks, buzzards, golden eagle, peregrine falcon, the Sardinian partridge, raven. Among the mammals you can find the Sardinian hare, wild rabbits, foxes, weasels, wild boar, Sardinian deer and fallow deer. The amphibians include the Sardinian Painted Frog, among reptiles water snake with the Sardinian subspecies cettii. It is not uncommon in this forest see the golden eagle, peregrine falcon, kestrel, raven and woodcock. Bordering the forest complex of Monte Nieddu, in addition, there are several specimens of considerable size of the Etna broom. Known as the “State Forest of Pula”, included in a single body it has about 4500. Subsequently, as a result of purchases, the surface was extended up to a little less than 9500, which included the surface current Is Cannoneris complexes and Pixinamanna. The forest was part of the 200,000 hectares awarded by the state to the Railroad Company and this was returned to the State State in 1870. It was later sold to individuals and then began over-exploitation of forest topsoil. The indiscriminate cutting, grazing practiced with excessive loads and frequent fires compromised the natural balance of the forest. In 1903 he was finally expropriated and given to the State in managing State. From the early years of the century began the recovery of what grazing and fire had completely destroyed. The current forest management of the complex aims to restore and preserve the forests, protecting them from the destructive actions in the past threatened to permanently impair balance and irreparably mar its beauty. 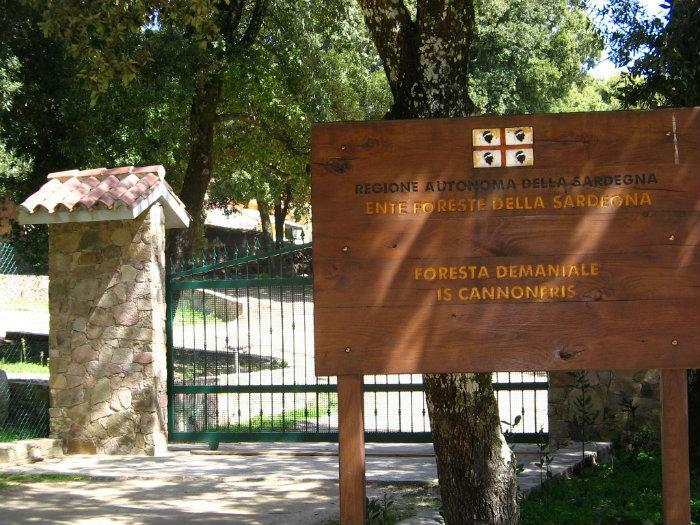 The national forest of Cannoneris is included in full in the areas that relate to the proposed establishment of the Natural Park of Sulcis as’ Extended areal western Sardinian deer. The northern portion of the forest, more than half of its surface area falls S.I.C. I.T.B. 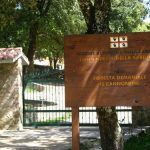 001 105 – ‘Monte Arcosu Forest’ and for much of its surface in ‘Oasis permanent protection of wildlife’ Piscina Manna – Cannoneris’ as per decree No. 127 dated 06.15.79 n ° 1818 of 30/12/79. The forest is a very popular tourist destination for its beautiful flora and fauna, and is considered one of the richest forests sulcitana area. It is not uncommon to spot the Sardinian deer in the wild and other animals. The natural beauty of the forest are also appreciated by visitors who come from the inner road to F.D. Pixinamanna. The presence of some nuraghi and sheer walls of Calamixi, make it particularly interesting to visit. The forest can be traveled in its main and secondary roads (some paths or mule) thanks to a system of well signposted hiking purposes. Inside the forest complex there is a weather station at an altitude of 716 m. s.l.m. The average annual temperature is equal to 13.1 ° C. The average of the coldest month (February) is 1.7 ° C; the average of the warmest month (July) is 29.2 ° C. The annual temperature range is 8.2 ° C; the maximum and the absolute minimum, recorded in February and July respectively of 8.9 ° C and 17.2 ° C.
Rainfall follow a regime characterized by the highest winter (December to February) and autumn (October-November) for a total of 1172 mm of rain fall (average annual total). According to the climatic classification of Pavari it can assume that the forest falls as a whole in the area phytoclimatic Lauretum – hot and cold sub, type with a summer drought. At the hot subarea belong those bands with altitude that varies from 200 to 600 m, while the cold subarea those with variable altitude from 600 to 1000m. The substrate is formed by intrusive rocks of the Paleozoic, mainly regarding granites (leucogranite and granodiorites) and in part also detects the presence of shale (micaschists) distributed on the south side and south-eastern part of the forest complex. The forest complex of Cannoneris is affected by uneven morphology in some areas and in other sweeter. 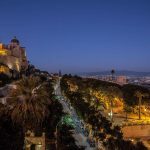 They have more rugged terrain with stretches characterized by steep slopes, which runs Portas Santas and Porta Sapienza, Porta Matta Sola, Porta Calamixi, the northern part of the forest area (M. Mannu and Porta Is litteras) and the west (from Porta Is Spadas to punt’e he knows Stria). Inside the forest it is crossed by numerous watersheds flowing streams to seasonal flow. The main water courses are: Mitza of Filisargiu, R. Isca de Crapitta, Canal de su Marigosu, Riu Truba knows and knows Para, Riu on Pizianti, Channel Medau Angiu. Inside the forest, the odds vary between 225 m. s.l.m. to 979 m. s.l.m. on top of the upstream P.ta Sebera. 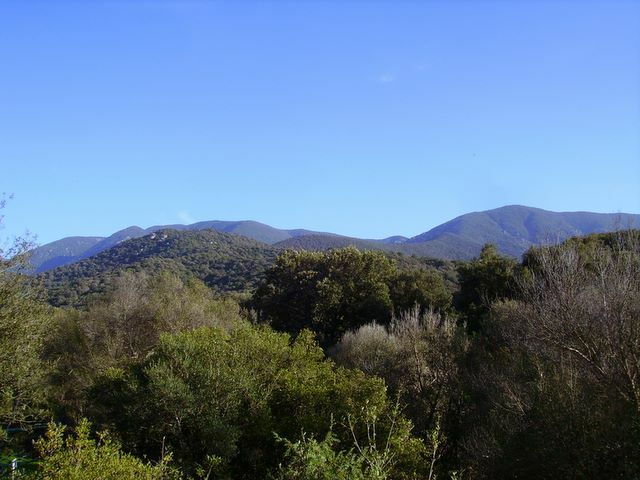 The forest complex Monte Arcosu – Piscinamanna constitutes the largest Mediterranean scrub forest of the entire Mediterranean. The Oasis of Monte Arcosu is located within a Site of Community Importance (SCI ITB041105) in the municipalities of Uta, Assemini and Siliqua (Ca). It ‘also a Special Protection Area (SPA ITB044009). The Oasis area is 3600 hectares. 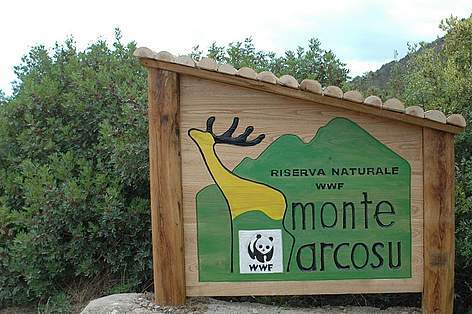 To enter the WWF reserve of Monte Arcosu, one step away from Cagliari, seems to live in a documentary that, finally, it is also a little protagonists. 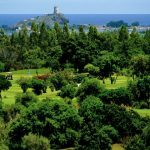 And ‘one of the few national parks most admired island in the Mediterranean, one of the last kingdoms of the Sardinian deer, a treasure trove of biodiversity.